Roger Stageberg is admitted to practice in Minnesota state and federal courts and United States Supreme Court. Roger Stageberg’s corporate practice includes representation of numerous business corporations, many of which are in the computer, electronics and medical products industries. His corporate practice includes incorporating new businesses, working on corporate finance and private placements, mergers and acquisitions, and sales and dissolutions of corporate entities. His background in engineering, and over 40 years of experience working with computer, electronics and medical products companies, gives him a unique ability to be of practical assistance to the founders, officers and directors of technologically oriented businesses. He has been involved with their initial public offerings, their regulatory affairs with the Securities and Exchange Commission and merger and acquisition activities. While Mr. Stageberg has concentrated his practice on mergers and acquisitions and corporate and securities work, he continues to work closely with the business litigation attorneys in the law firm. Roger Stageberg’s experience with many company startups has been a great help to us in provide outstanding guidance and suggestions. We are so fortunate to have his expertise. Roger Stageberg has used his considerable experience to help us navigate an acquisition and deal with international channel matters. 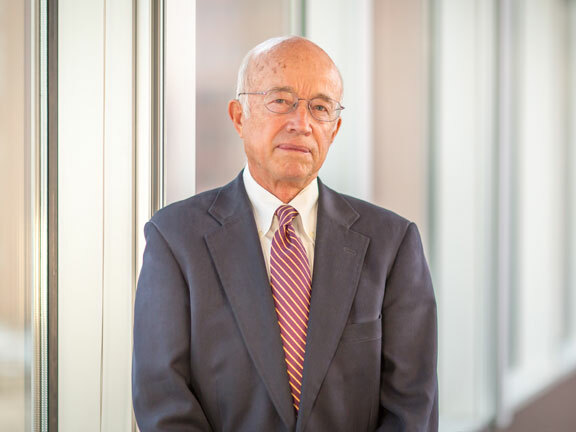 Steeped in the law, mathematics and common sense, Roger Stageberg of Lommen Abdo Law Firm has guided us through 44 years of participating in literally all types of business structures specific to the opportunity including controlled and noncontrolled foreign corporations. His inquiring mind and ability to understand esoteric reinsurance and other contractual issues have allowed us to prevail in a myriad of negotiations and the occasional complicated litigation. He was the Chairman of the Hennepin County Bar Association’s Securities Law Section and a member of its Executive Committee for several years. 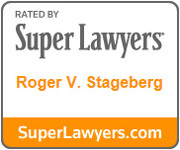 Mr. Stageberg has repeatedly been included in the Minnesota Super Lawyers list (he was listed as the top mergers and acquisitions Super Lawyer in 2000) and is among The Best Lawyers in America®. He is rated AV Preeminent® for the highest level of professional excellence by Martindale-Hubbell.